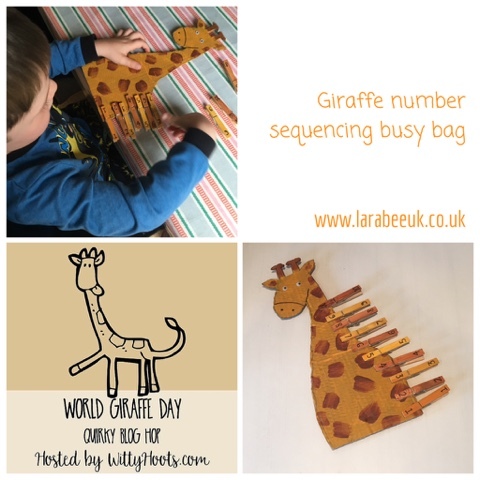 When I had the opportunity to create a giraffe themed kids activity for the world giraffe day quirky blog hop I remembered this Clare's tots dinosaur busy bag which I really liked when she shared on Instagram recently, I thought the long neck on the giraffe would be ideal. 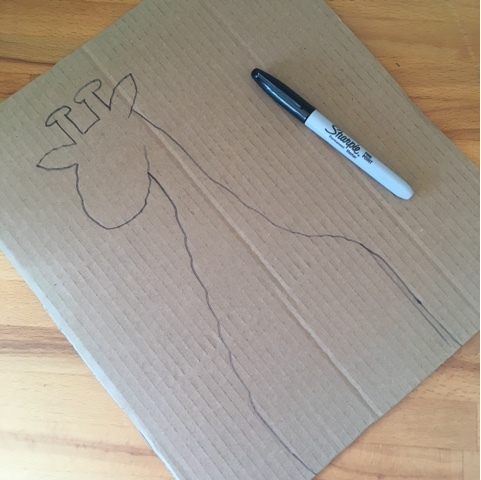 I started off by drawing a simple giraffe shape on card and cutting it out. 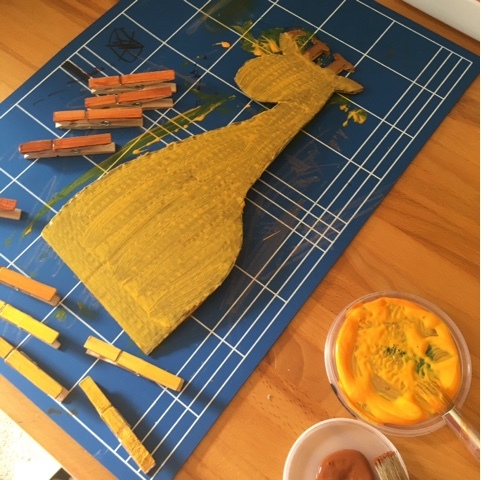 T then helped me paint the yellow, we mixed a little orange in to make it a bit darker. 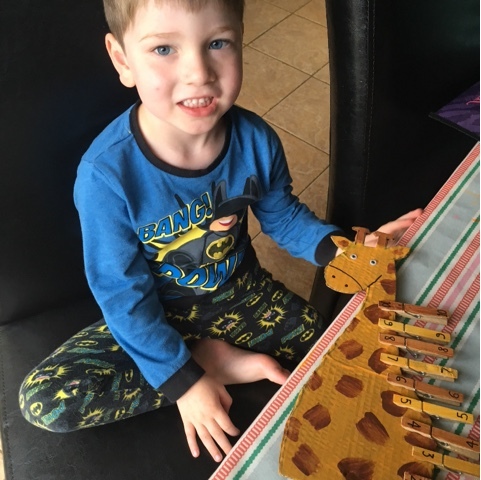 We painted the pegs yellow and brown and left them to dry. Once dry, I added the spots, face and numbers. 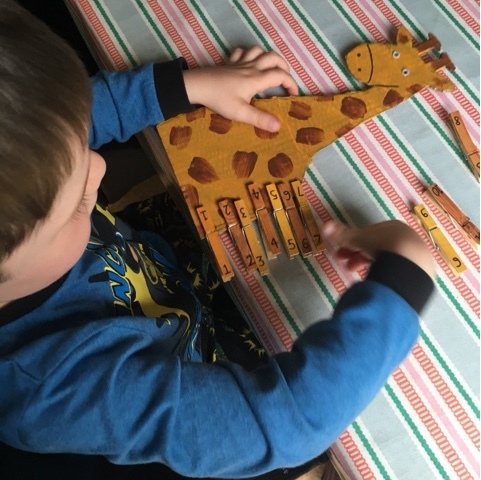 We've actually made this for a friend who is 2 1/2 but T had a lot of fun playing with it, adding the numbers in sequence forwards and backwards. 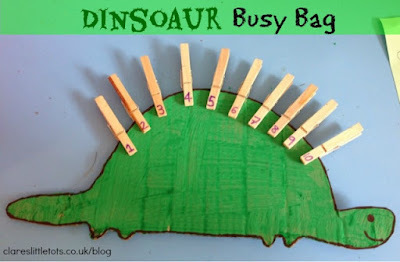 This activity is great for number recognition, counting and fine motor skill development. 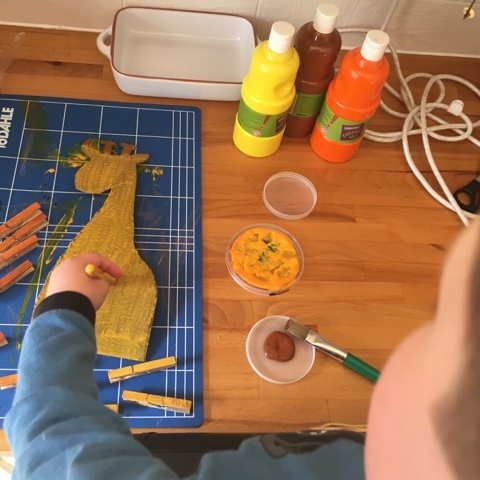 More yummy recipes, craft activities and some fun play ideas as well! Celebrate on June 21st this year. Joining in with this quirky blog hop are some wonderful bloggers from around the world. 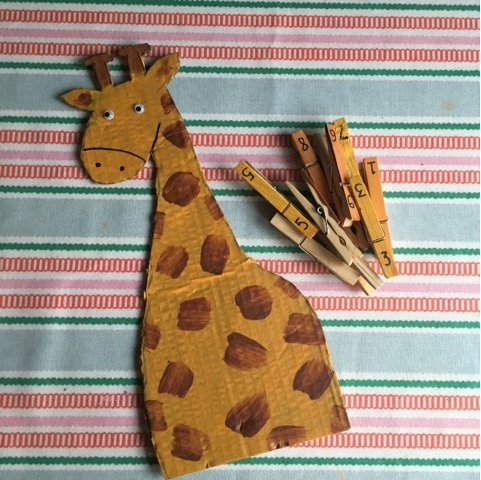 This blog hop is all about sharing interesting crafts and activities aimed at kids of all ages. 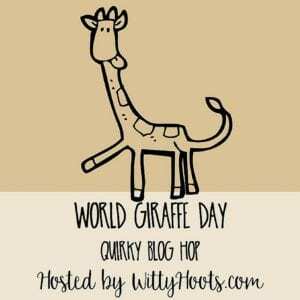 Thanks for joining in with the World Giraffe Day Quirky Blog Hop. What a fun and colourful idea for learning number sequences!